The holidays are upon us and you know what that means! Gift shopping time is fast approaching, often for little kids with big imaginations. LOL Toys (not to be confused with the weirdly popular L.O.L Surprise fad) is an incredible toy store, located in the suddenly trendy Mile Ex neighborhood, that specializes in educational toys for all ages and stages, and toys for kids with disabilities. It is a family business run by Dr. Julie Drakoulakou (a dentist who also studied occupational therapy), her husband, Dr. Yanis Felemegos (a doctor of family medicine) and their three children, Joanna, George and Helen. What Makes LOL Toy Store Different? This doctor duo opened the store in 2012 with the strong belief that play is of the utmost importance for children and family development. It is through play that children cultivate their imaginations, their creativity, their problem solving skills and their sense of team spirit and collaboration. It is also through playing together that families can strengthen their bonds. And those benefits should be open to everyone. Especially children and adults with disabilities. That’s why LOL Toys is also dedicated to supplying toys and games that are accessible to all and encourage everyone’s natural joy of playing. WePlay’s balance boards and Pedal Walker help develop balance and coordination (and are so much fun!). Mr. Moody doll, the Mood Match game, emotions stamps and Emotion Memory help children learn and identify emotions in themselves and others. The Placote series of toys was developed by speech therapists to help children develop their speech and overcome speech challenges. Tangle Therapy toys encourage sensory play, aid with stress and anxiety, improve attention skills, provide hand therapy and can even help people who are quitting smoking. A to Z magnatab helps kids learn to read and write. Arckit sets empower kids to bring their imaginations to life through creating their own architectural models (LOL Toys is the only Canadian retailer of Arckit’s award winning building sets). There are so many exciting and engaging toys to choose from that help expand minds, young and old, and facilitate development at any age or stage. These are toys hand picked by the family to be fun, engaging and hopefully cherished by children and families. 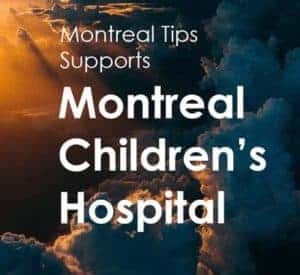 The family also collaborates with McGill University’s occupational therapy department, to provide internships for students to observe children at play. They are just that dedicated to their mission! LOL Toys sells online through their Shopify store, but if you feel like checking out Mile Ex, it is definitely worth a visit to their brick and mortar store. The staff is welcoming and knowledgeable, and will work with you to find toys and games that meet your needs. In addition to being a great place to shop for gifts, LOL Toys also sells to daycares, hosts kid workshops and offers baby registries.